Here is my presentation “Own Your Own Career – Advice from a Veteran Consultant” that I delivered in June at IT Camp in Cluj-Napoca, Romania. ITCamp 2018 - David Giard - Own Your Own Career – Advice from a Veteran Consultant from ITCamp on Vimeo. Here is how I handle it. Create a getkey.js file with a single getKey function. Include getkey.js in my HTML document(s). Check the rest of the project into GitHub. Of course, the return value will be your appropriate key. From script.js, I add code to call the getKey() function within a try/catch block. This will throw an exception if the script cannot find the getKey function (usually because it cannot find the getkey.js file). In this example, I output a useful error message in a DIV with an ID of "OutputDiv". I want to keep the getkey.js file locally, but I don't want to check it into GitHub. Adding a file named ".gitignore" in the root of my project allows me to list any files or folders that I don't want to include in my GitHub repository. Once the above steps are completed, it is safe to check it into GitHub. The getkey.js file will not be checked in. When another user checks it out, they will need to create this file. I recommend creating a read.me file and pointing this out. Even if they forget, the error message should give them an idea why their code is not working. There are other ways to address this issue, but this way works for me. I remember reading Watchmen by Alan Moore and Dave Gibbons 30 years ago, when it was originally released as a 12-issue series. I waited for each issue and it took me a year to get through the entire story. But this week, I read the complete saga as a single volume and I think this is how Moore and Gibbons intended it. The story is complex enough that mysteries are introduced in one chapter and resolved several chapters later. Although published by DC Comics, the story takes place outside the DC superhero continuity. The main difference from the DC universe is the impact that superheroes had on their world, since first appearing on the scene in the 1930s. Originally, they were a group of costumed people with excellent athletic abilities and desire to fight crime. But things changed when Dr. Manhattan appeared on the scene. Dr. Manhattan was a physicist caught in an atomic experiment that gave him nearly godlike powers of strength, invulnerability, the ability to transport himself and other people and objects; and the ability to see forward and backward in time. Dr. Manhattan working for the U.S. government greatly shifted the balance of power during the Cold War. In this world, the U.S. won the Vietnam War and Richard Nixon remained president for decades (Woodward and Bernstein's bodies were found in a parking garage and the Watergate scandal never came to light). Costumed heroes eventually lose favor among the general public, which distrusts their great power; and by the police, who are frustrated by them operating outside the law as vigilantes. Rorschach, a psychopath with a strong moral compass that justifies him murdering criminals. The Silk Spectre, who inherited that name from her mother, who pressured her into the superhero business. It's a fascinating story, made better by all the little details - the graffiti on the wall in the background; the minor subplots (Rorschach’s psychiatrist is so troubled by his interactions with the hero that his marriage begins to crumble); the easter eggs (The pages of Chapter 5 are symmetrical, such that the last page mirrors the first, page 2 mirrors the second last, and so on); and stories within stories (a minor character reads a pirate comic throughout the series, which tells a morality play, not dissimilar to the one acted out by the major characters). One gets the feeling that multiple readings would reveal even more layers to the story. But the strength of Watchmen is in the conflicting morals of each of the characters and the conflict this causes among the group. Some, like Ozymandias and Rorschach are absolutely convinced of their moral high ground; Dr. Manhattan loses his connection with the human race as he loses his humanity, and this affects his morality; The Comedian and the first Silk Spectre are in the superhero business for the fun of it; while others, such as Nite Owl and the second Silk Spectre, wrestle with questions of right and wrong and how to respond to evil. Is nuclear deterrent (or superhuman deterrent) enough to preserve peace? Does the universe need humans? Is it better with or without them? What obligations do the powerful have to protect the powerless? It is the last question that drives this story forward. Watchmen changed the perceptions many had about comic books and graphic novels in the 1980s. 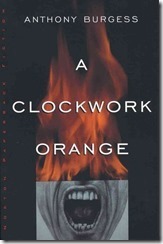 Its dark themes and complex plots and characters were more than other titles at the time. As a result, the entire industry was challenged to produce at least some more titles that were heavier and higher quality than their normal super hero fare. 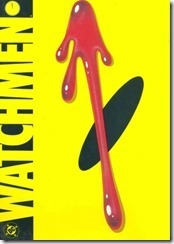 3 decades later Watchmen still stands up - not just as a graphic novel, but as a novel.